My current book has just hit the shelves! The Quantified Self in Precarity: Work, Technology and What Counts by Phoebe V Moore is the state of the art text on how technology and the use of technology for management and self-management changes the ‘quantified’, precarious workplace today. Humans are accustomed to being tool bearers, but what happens when machines become tool bearers, where the tool is seemingly ever more precise with calculation about human labour, via the use of big data and people analytics by metrics and algorithm? Data, as quantified output, is treated as a neutral arbiter and judge, and is being prioritised over qualitative judgements in ‘agile’ key performance indicator management systems and digitalised client based relationships. From insecure ‘gig’ work, surveillance and electronic performance monitoring in factory settings, to workplace health and wellness initiatives in office work including sensory tracking devices, digitalisation is not an inevitable process. Nor is it one that improves working conditions or inevitably eliminates work, as many hope. The post-work utopia where universal basic income may substitute welfare systems and people can spend their days fishing and writing poetry are not, this book claims, imminent. Instead, workplace quantification today leads to high turnover rates, workplace rationalisation and worker stress and anxiety, exacerbating the power relations between capitalists and wage labourers. Indeed, before too long it will be possible for employers to quite literally track our blood, sweat and tears (but to continue to avoid paying for it). These issues are linked to increased rates of precarity both objective and subjective. Scientific management asked us to be precise and efficient. Now, to add to these demands, workers are asked to be agile and to compete directly with machines. What will this mean for the everyday lives we lead, and what can we do about it? The introduction gives an overview of how technological developments affect the employment relationship in unprecedented ways. The digitalised worker is precarious and the instability of the quantified workplace is symptomatic of unprecedented routes of productivity capture in unstable times. As the machine becomes increasingly central for human resource decisions and appears in more ways in the employment relationship and begins to identify unseen, affective, emotional labour, the use of data made available from tracking technologies seals an emerging metaphorical social pact that has not yet been agreed by all parties. Workers are asked to become self-experimenters whilst not escaping precarity. An ever-invisible management sometimes becomes entirely machinic and a new cadre of specialists and inventors develop and implement new technologies to measure our labour. While the new employment relationship involving these actors does not arise simply because new technologies have emerged, data allows the seeming neutralisation of the employment relationship and the objectivity of technology, allowing the acceleration of already existing hierarchies and power relations. Chapter two outlines work design experimentation from industrial betterment to the current phase of agility management systems. Technology plays an increasingly prominent role in experimentation in its role in measuring increasing aspects of work in the labour process, where in the current era, sensory, wearable and other types of self-and other-tracking technologies are used to capture what I call all-of-life and unseen labour. Scientific management is highlighted in this historical account, because it is during this control phase that work measurement technology was advanced most significantly in the early stages. Indeed, scientific management was seen as a United States-initiated civilising process and heralded as a management methodology that would introduce rationality and standardisation, as well as prosperity and global interdependence. For these reasons, scientific management was ardently researched across Europe and discussed by the League of Nations, as well as condemned by the AFL-CIO unions. Now, the work design model called ‘agility’ adapts aspects of scientific management and the human relations school, but differs in that the measurement technologies applied take a corporeal turn, as well as expect workers to be adaptable to inexorable change and also to be able to personally change for seemingly inevitably transmutable times. In this chapter, I endeavour to set a framework for a renewed (critical) political economy of precarious, quantified work, through interrogating the corporeal and affective turns which have informed the emergence of new materialisms. 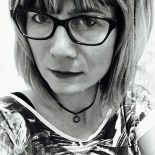 Renewed debates on materialism have emerged in both feminist poststructuralism and Marxist circles, resulting from a reaction to the glut of cultural studies research that, for too long, focused on narratives and discourses rather than investigations of the ontological, phenomenological or material. The material that feminist new materialist researchers identify is based in a monist ontology which clashes with orthodox Marxism and with mainstream political economy research where they are steeped in Cartesian binaries. Nonetheless, I look for traces of coherence between these recent fields of investigation in new materialisms and, ultimately, I look to the Marxist social reproduction literature for possible intersections. Critical political economy research can benefit from a radical new materialism that ties loose ends across the disciplines together for a clearer understanding of exploitation in digitalised work and to inspire discussions about resistance and emancipation. While unidirectional forms of productivity measure gathered by tracking techniques in factories and warehouses are well-known, non-industry corporations have begun to use technologies to accumulate data about workers in a way that not only measures productivity, but is designed to increase motivation and productivity of more cognitive work, ‘corporate wellness’ intiatives across the world. The first section of this chapter looks at the concept of surveillance and biopower and the workplaces where new technologies are now being deployed to monitor and control work as well as to provide services. This section leads into the delineation of why emotions and affective labour are the new terrain of capture for management along a continuum of management scrutiny. Introduced in chapter three at the ontological level where research on affectivity challenges perceived divisions and hierarchies between the body and the mind, now, this chapter goes into a more specific characterisation for how affect and emotional labour become areas of corporate colonisation as seen in new workplace experiments. So, after looking at the concept of surveillance at work, I look at the ways that electronic performance monitoring, reputation management, people analytics and automation are effected and affect workers. I then outline the results from the research I carried out looking at one company’s experiment which they called the Quantified Workplace, over the course of one year (funded by the British Academy/Leverhulme), identifying how unseen labour was captured during a period of corporate change and identifying workers’ responses to this experiment. How do people experience self and other-tracking in the day to day? This chapter involves interviews that I carried out with people I met at the Quantified Self Expo in San Francisco in 2015; at a Self-Tracking event at Somerset House in London in 2014; and at a Quantified Self meetup in London also in 2014. These in-depth, semi-structured interviews provide compelling insights into the worlds of people who extreme-track. Two of the interviewees have been involved with the Quantified Self movement since the beginning. One is the owner of a small business that allows people to self-track productivity. The student at Imperial College London who I interviewed provides a fascinating example of the millenials’ take on self-tracking. New uses of technologies in the quantified workplace are part of an emerging form of neo-Taylorism which risks subordinating workers’ bodies to neoliberal, corporeal capitalism. In the short term, quantification helps corporations and self-employed precarians to keep up with cut-throat competition. In the long term, this approach undermines life to capital to an unsustainable degree, destroying the qualitative outside, which both provides the basis for capitalism (as use-value, labour-power, consumer desire) and the basis for resistance. At a minimum, we can speak of declining welfare and social protections for workers and the associated regime of total mobilisation and surveillance corrode workers’ health and safety, creating anxiety, burnout and overwork. Neoliberalism continues to portray such problems as failures to adapt, personal psychological shortcomings or educational deficits. They seem, rather, to be systematic effects of a particular labour process. This chapter concludes the book The Quantified Self in Precarity: Work, Technology and What Counts, noting that future research must focus on how workers are responding to technological change and what it means for the future of work. This entry was posted on September 21, 2017 by Quantified Worker Twitter @phoebemoore.